has been established for the USPA Seal. The Signature Stripe incorporates our red, white and blue color scheme. With the unique proportions, as outlined above, the design is a brand defining statement. The secondary version of the Signature Stripe is to be used only when the application requires a finer stripe. Florida Region’s Conrad Kissling hits a neckshot across field as Western Region’s Bayne Bossom rides in to defend during the 2018 National Youth Tournament Series Championship Semifinals at Columbine Polo & Equestrian Center, LLC in Littleton, Colorado. Chairman’s Letter As I shared in last year’s Annual Report, it’s important to me for the general membership to fully understand and appreciate the scope and size of the USPA. The Association encompasses four wholly-owned subsidiaries, each with their own board, and in excess of 22 different committees with their own subcommittees. Committee volunteers estimated about 200 strong and there are approximately 60 employees between the sport and USPA Global Licensing Inc. Annual consolidated expenditures approximate $24 million. All of this is in place to accomplish our mission statement, with the predominant goal to improve the overall polo experience for our USPA membership. There are many good and positive things happening within the USPA. I recently was asked to elaborate on the current status of the USPA for Hurlingham Polo Magazine. I reflected on the Association’s progress and challenges, while also sharing plans for the future. I am proud of our personnel and organizational restructuring and feel that the Association is now operating more efficiently than before. We made a significant accomplishment in passing a fixed dollar annual subsidy which will encourage financial discipline, and we have elevated and expanded competition for American players. As I also highlighted in last year’s annual report, in successive years these annual reports should demonstrate marked improvement in all facets and groups within the Association. We are on our way and made great strides in 2018! Should any members have questions, please feel free to contact a staff member or reach out to your Circuit Governor or myself. On behalf of the USPA Board of Governors and its Chairman, the United States Polo Association is proud to present the 2018 Annual Report. As we all move forward together, let us individually strive to improve our own polo experience by investing in and upgrading our clubs, quality of horses and competition level. If we as members focus on these basic enhancements, then polo as a whole in the United States will also improve and the USPA will succeed in achieving its mission. Jenna Tarshis and Cory Williams celebrate their National Youth Tournament Series Girls All-Star Challenge win. The USPA Services Division serves as the central hub for administrative and operational tasks within the Association. Staff members in the Services Department have numerous responsibilities that act to keep the Association functioning, while providing lines of open communication between the Board, Governors, committees, Club Delegates, members and employees. The continued effort to strengthen and improve relationships both inside and outside the Association can be seen in the USPA’s positive impact on the sport through dedicated leadership, tournament and handicap support, and communication and committee relations. Robert Puetz’s promotion to Chief Executive Officer in September of 2017 created a vacancy in his former position as Executive Director of Services. Following a search for a suitable candidate, Carlucho Arellano was hired in February 2018. Arellano’s experience contracting and managing employees, combined with his extensive knowledge of the polo industry were key factors leading to his addition on the executive team. Arellano oversees the responsibilities and staff of the Services Department in order to best serve clubs and members of the Association through oversight of handicaps, tournaments, club approvals, board meetings, and communications and committee objectives. Arellano’s focus is to facilitate improved external communication to members and clubs, as well as assist with internal communication between the Board, committees and staff. Supported by the CEO and Executive Director of Services, the Services Department staff aided the Association in planning several notable events in 2018. In July, a Circuit Governor Election was held and three new Circuit Governors were instated and 10 Circuit Governors were reelected. The spring and fall USPA Board of Governors Meetings proved a success in their ability to bring the Board, committees, Club Delegates, staff and members together to make decisions about the future of the Association. Staff also aided in the planning and execution of sending both a junior and adult American team to England to compete in the Westchester Cup in July 2018.
for the network with five games livestreamed from three different states in three different time zones. The Communications team in partnership with ChukkerTV worked diligently over the past year to elevate the fan experience on the USPA Polo Network through increased graphics, statistics, interviews, horse information, tournament and club history and much more. As recommended by the Constitution Committee, the Proposed Amended and Restated Constitution was approved in an effort to run the Association more efficiently and for the benefit of all members. Also, as recommended by the Constitution Committee, the Restated and Amended By-laws, as well as the Code of Conduct, Disciplinary, Broadcast Rights and Title Sponsorship policies were approved by the Board. The changes are intended to streamline the USPAâ&#x20AC;&#x2122;s governing documents for improved understanding and compliance; eliminate inconsistencies and ambiguities within the existing documents; and incorporate certain substantive changes that were discussed and approved by both the Constitution Committee and Board of Governors. Arena Committee The Arena Committee experienced a successful 2018 and continued to expand upon the progress and initiatives developed in previous years. In 2015, the Committee created the perpetual Russ Sheldon Award presented annually to a member for outstanding contributions to arena polo. 2018 recipient Thomas Goodspeed spent four decades dedicated and immersed in the sport of arena polo. The current coach at Southern Methodist University and the Arena Handicap Chairman, he joined a legendary group of arena players who have won the award thus far. through strategic and commanding play. The pinnacle arena tournament of the year, the U.S. Open Arena Polo Championship®, was once again hosted by Country Farms Polo Club in Medford, New York. Two teams were assembled to vie for the top arena trophy in the country, with newcomers Aliano Realty capturing the title. Arena polo continues to prosper across the country and the Arena Committee is in constant pursuit of new ways to help improve and enhance the sport. Hundreds of spectators and players are drawn to the fast-paced and competitive game each year. The future of arena polo is bright as the sport continues to thrive. Armed Forces Committee The U.S. Military has played a significant and important role in the history and development of polo in the United States. In 1896, the U.S. Army based at Fort Riley, Kansas, took up the game. In addition to improving the riding skills of cavalrymen, polo taught leadership, teamwork and strategy. West Point next introduced polo in 1901. By 1914 there were 17 Army posts playing polo. In 1928, the U.S. Army team made it to the final of the U.S. Open Polo Championship®. Army polo continued to spread, expanding across the U.S., Panama and the Philippines. The other military branches, Air Force, Marines and Navy soon followed suit, and today there are inter-service matches held all over the country, and international matches amongst the military branches contested worldwide. The Armed Forces Committee has been working over the past few years to increase USPA military tournaments and USPA membership. In 2016, changes to the USPA By-Laws offered free membership to active duty military players and free membership is still offered to date. Only seven circuit military tournaments were held in 2016, the first year the events were available, making growth a focus for the Committee in 2017 and 2018. The Committee’s hard work and dedication to the cause raised that number to 23 circuit events in 2017 and 25 in 2018. In 2017 the USPA approved two national military tournaments (one arena and one outdoor) and both were played in the Southwestern Circuit in 2018.
played the host Nigerian team and teams from Pakistan, Morocco and India. Looking ahead to 2019, the Committee is considering sending teams to Germany and India and hosting a team as part of the 2019 John R. Townsend International Challenge Cup. The USPA selected Lt. Colonel Steve Walsh, USMC (Ret), for the 2018 General George S. Patton Jr. Award in appreciation for his work that has gone above and beyond the call of duty, creating opportunities for military members and their families to become involved in the sport of polo. Goose Creek polo pony waiting to play. ©David Lominska. Audit Committee The Audit Committee reports directly to the USPA Board of Governors and assists the Board in fulfilling its oversight responsibilities regarding the integrity of the USPA’s financial reporting, compliance with legal and regulatory requirements, independent auditors’ qualifications and performance, and the effectiveness of the internal audit function. This responsibility is particularly important as it relates to accounting matters and actual, potential and perceived conflicts of interest. The Audit Committee identifies areas of potential financial risk and leads ad-hoc inquiries into finance-related questions as presented by USPA members, employees and other valid sources. The Audit Committee maintains the confidentiality of all individuals who reach out. Inquiries can be submitted electronically via an independent website for this purpose, accessible only by the Committee. Inquiries can also be submitted by phone, email or in writing to any member of the Audit Committee. To submit electronically, the Association offers a link directly to the Audit Committee’s independent site on uspolo.org The Audit Committee is comprised of Chairman Steven Rudolph and Committee Members Eugene Burk and Charles Stanislawski, MBT, CPA. Board & Staff Development Committee To begin the governing year, the Board & Staff Development Committee (BASDC) established and onboarded a small and varied group of individuals with ties to many USPA Committees that were approved by the Board. The Committee reviewed and recommended changes to the USPA Employee Handbook and forwarded those recommendations to the Executive Committee for review and approval. The Committee also completed and obtained Board approval for the executive level hiring process. intact after Board feedback. The Committee also reviewed the USPA Communications Policy which was Board approved in April 2018. The BASDC is reviewing a proposed draft of a USPA Whistleblower Policy and will forward a draft to the USPA CEO and Board Chairman for review and approval by the Board. The BASDC evaluated and resolved the Board Meeting Minutes distribution process through recommendations to the Board. The Committee reviewed methods to improve internal Board member communications and the promotion of activities to USPA Members. The Committee is reviewing and will make recommendations for a revised and updated USPA Recognition of Service Award process. Club & Membership Administration Committee The Club and Membership Administration Committee began the year by reviewing all existing clubs to ensure their compliance before the April USPA Board of Governors Meeting. In order to be considered compliant for 2018, all clubs were required to submit a Certificate of Liability Insurance for their club in addition to having club dues paid, Club Delegate dues paid and a total of three or more members. A total of 287 clubs were presented to the USPA Board of Governors for their review and all were approved. Non-Playing Member or Lifetime Member (Registered or Affliate). Based on the above changes to the Constitution and By-Laws, the Committee hopes to see an increase in the size and quality of all of the Associationâ&#x20AC;&#x2122;s Member Clubs. A full club compliance review will take place at the beginning of 2019, and the Club and Membership Administration Committee and staff will work with clubs to meet the new requirements. La Herraduraâ&#x20AC;&#x2122;s Santi Torres walking onto the field at Empire Polo Club (Indio, California) during Champions Cup competition. PROPOSED SUBSTANTIVE CHANGES TO THE BY-LAWS: New home for Resolution 4.1: The authority of the Executive Committee remains largely the same. Resolution 4.1 has been incorporated into the By-Laws. (Article IV, Section 4) Officer terms: Officers elected at the 2018 USPA Board of Governors and Annual Member Meeting will serve for a one-year term. Beginning in the fall 2019 USPA Board of Governors and Annual Member Meeting, Officers will be elected to serve a three-year term, for a maximum of two consecutive threeyear terms. (Article V, Section 2) Membership classification changes: •	Active Member Clubs must have, among other things, (a) effective as of January 1, 2019, at least six Registered Player Members, each of whom are 18 or over, and (b) ownership of or control by lease of a suitable field or arena. (Article VI, Section 3(a)(1)) •	There are no longer Inactive Member Clubs; a Club must be either Active or Provisional to be a Member. •	The Student Member classification has been eliminated. •	Non-U.S. Members who are registered through an Active Member Club or Affiliate Member Club and who are not under suspension by the Hurlingham Polo Association, the Argentine Polo Association, or the Federation of International Polo have all the individual rights of membership except that they shall not be eligible to be selected as a Delegate or a Governor, and shall not be eligible to vote. NEW AND REWRITTEN POLICIES The handicap provisions, Disciplinary Procedures, the Code of Conduct, and Broadcast and Title Sponsorship Rights are no longer housed in the By-Laws and will function as independent policies. •	The new proposed Handicap Policy is replacing the handicap procedures in the previous By-Laws (By-Law 6), the National Handicap Policy and other USPA Handicap Guidelines. The new proposed Handicap Policy is a compilation of the existing handicap policies and will address the processes and procedures for awarding outdoor, arena and women’s handicaps with greater clarity. •	The new proposed Disciplinary Policy clarifies and addresses all of the procedures outlined in By-Law 11 (Member Violations and Disciplinary Procedures), By-Law 12 (Protest Procedure) and By-Law 16 (Disciplinary Procedure for Violations of the Equine Drugs and Medications Rules). •	The proposed Code of Conduct Policy is substantially the same as it was in the current By-Laws with greater clarity. •	The Broadcast Rights, Title Sponsorships and Trademark Policy have been condensed into one document and provide new terms or title sponsorship for clubs. Equine Welfare Committee The Equine Welfare Committee continually looks for ideas to improve the safety and welfare of the horses that are a crucial part of the sport. The Committee met a number of times throughout the year to discuss topics related to the well-being of the equine athletes in the sport of polo. At the beginning of the year a decision was made to not renew the contract with the United States Equestrian Federation (USEF) for the Associationâ&#x20AC;&#x2122;s Equine Drug and Medication Testing Program. It was decided that the Association would conduct the program internally by contracting an independent laboratory and hiring outside veterinarians to conduct testing. Testing took place successfully at two tournaments late in the year using the new Drug Testing Procedure that was created in late 2017. At both events, players were very receptive to the new process and the testing went smoothly. A formal process was created and approved by the USPA Board of Governors for the Equine Disaster Relief Program. This policy includes three options for requesting funding: catastrophic, neglect and disaster relief. Each scenario requires an approval process for the funds to be utilized. In catastrophic and neglect cases, money will be sent directly to vendors to pay for necessary costs. For disaster relief, there is a reimbursement process for funds related to rescuing, relocating or transporting horses. These requests will be approved by the Committee, USPA Board or the USPA Executive Committee. The Committee continued to discuss the push for members to report equine abuse and neglect cases. An anonymous tip line was created for members to call and leave information. The USPA Equine Welfare Committee encouraged anyone making a report to first reach out to their local animal control to report the issue. Those wishing to make a report to the USPA are asked to leave as much detail as possible in their message. This should include the city and state, as well as the name of the person being reported, how many horses are involved and any other pertinent information. The tip line also encouraged those making reports to leave their own name and phone number, which will be kept confidential. When reports are received, the Committee conducts an official investigation and a plan of action is created to resolve the issue. Finance Committee The USPA investment program’s foundation is supported by four pillars. The first pillar consists of adherence to the USPA’s Board-approved Investment Policy. Advice from Meketa Investment Group, the USPA’s independent fiduciary investment consultant, makes up the second pillar. The third is comprised of custody of the investment portfolio at Wells Fargo bank, and the final pillar consists of management between the annual USPA operating subsidy and additions to the investment portfolio. component of enhancing returns and reaching the endowment goal in the timeframe estimated. During the 2018 USPA Board of Governors and Annual Member Meeting in September, the Board approved a Large Purchases Policy, culminating a project first tasked to the Finance Committee in 2016. This policy provides guidelines for large capital expenditures, including twothirds approval (supermajority vote) by the full Board. The Large Purchases Policy was another step forward for the USPA by creating a process for consideration of a large investment which is outside of the approved investment policy and establishing a very high hurdle for protection of the organization’s endowment. In addition, the alignment of the goals of both the USPA and USPA Global Licensing were strengthened with establishing the Gauntlet of Polo™, funding of this initiative and a plan for the future. The Finance Committee also endorsed the Strategic Planning Committee’s four goals of fiscal management for improved polo, utilization of clubs to improve tournaments and providing entry-level programs for polo. The Committee is currently working on a three- to five-year plan to organize and fund USPA international polo which will further enhance the quality of these tournaments for both American players and international counterparts. Finance Committee meetings are always open and interested members are encouraged to attend. numbers in order to recommend the best formats. Once all was reviewed, a packet was assembled with each option, including pros and cons to each format. The Subcommittee was also utilized by the International Polo Club Palm Beach Host Tournament Committee to make recommendations for some of their tournaments. A continuous objective of the Committee is looking at a way to encourage more people to become involved in high-goal polo. The Committee has assessed various methods to help develop additional team owners for highgoal polo and this effort will continue in 2019. The High-Goal Committee will see a change in elected volunteers in 2019, but looks forward to continuing the strong work that was established in 2018.
three of which were fresh off a Gold Cup victory at Cowdray Park Polo Club in England. The cohesion between the English team was apparent from the start. The U.S. team continued to fight throughout the game, but fell short to the English despite their best efforts. The Hurlingham Polo Association accepted the USPA’s challenge to play the Westchester Cup on American soil in 2019; an exciting rematch is anticipated. Throughout the course of the year, the International Committee also took the opportunity to help fund several smaller initiatives. The Committee assisted in sending Team USPA’s Zenni and Jesse Bray to Argentina to play in the Copa de las Naciones. In addition, the Committee worked with the American International Polo Foundation to send a men’s team to play in the annual Manipur Polo International Invitational. met in April to review players from the winter season and again in September for the Annual Outdoor Handicap Meeting. The Women’s Handicap Committee also met twice, once in April to review winter players and again in November to evaluate summer and fall women’s polo. The Arena Handicap Committee met once for their annual meeting in October to review all arena handicaps. With the new and improved USPA Handicap Policy in place and some new faces on all three committees, we are confident the handicapping process will continue to improve. Rules Committee Through representatives on the International Rules Subcommittee, the Rules Committee continued to collaborate with the Hurlingham Polo Association (HPA) and the Argentine Association of Polo (AAP) in 2018, in a cooperative effort to improve and standardize the rules of international polo. 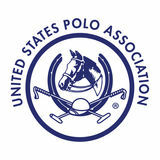 This was done while bearing in mind that the USPAâ&#x20AC;&#x2122;s main focus is and should be on polo in America, that American polo has its own unique history and traditions, and that the vast majority of USPA members will continue to play and compete exclusively in the United States under the USPA Outdoor and Arena Rules. The Committee was active throughout the year on rules-related issues through teleconference and email, and discussed and voted on numerous matters that arose. A group composed of members and staff met during the summer in Wellington, Florida, for the Committee’s annual workshop. Proposed revisions to the USPA Outdoor, International and Arena Rules, as well as proposed revisions to the USPA Tournament Conditions were discussed. All of the proposed revisions were adopted for 2019 by the Board of Governors at the USPA Board of Governors and Annual Member Meeting in Oak Brook, Illinois. One of the more significant revisions adopted for 2019 revises the manner in which the final period ends in outdoor polo. The Arena Rules Subcommittee was busy throughout the year refining and revising the Arena Rules and Optional Tournament Conditions. The Subcommittee met regularly to review club and member feedback concerning the Optional Tournament Conditions for Arena Polo. Originally enacted in 2017, the conditions were designed in part to make arena polo safer for both horses and players while also speeding up the game, thus making it more appealing to both competitors and spectators. In 2019, the Subcommittee intends to make recommendations to the Board to incorporate the Optional Tournament Conditions into the Arena Rules. Spareholder and pony watch the game from the sidelines. Safety Committee The Safety Committee continues to review and research rules, regulations, equipment and injuries in relation to the sport of polo. As a high speed, full contact sport played on horseback, the Committee helps to advise the Association on ways to protect the players. The Committee voted to cover the cost of certification from the Safety Equipment Institute (SEI) for the first four helmet manufacturers to produce a helmet that passes the National Operating Committee on Standards for Athletic Equipment (NOCSAE) Polo Standard. The Committee hopes to encourage multiple manufacturers to have a NOCSAE helmet on the market prior to the helmet mandate which begins on June 1, 2020. This funding will be in addition to the original helmet grants that have been offered to manufacturers. The Association encourages the use of helmets at all times when participating in polo or engaging in any equestrian activities, whether playing, practicing, schooling, or exercising. Please wear a helmet. Ride smart. Practice safe. Play polo. Cory Williams and Lila Bennett embrace after winning the inaugural Girls All-Star Challenge at Columbine Polo & Equestrian Center, LLC (Littleton, Colorado). Strategic Planning Committee A newly established Strategic Planning Committee hit the ground running with many goals and initiatives. The first objective that the Committee tackled was revision of the USPA Mission Statement. The Committee considered feedback from all Committee members and legal council to develop a new mission statement. The statement was approved by the Board of Governors at the USPA Board of Governors and Annual Member Meeting along with changes to the Constitution. Cooling off after a Pacific Coast Open game. ÂŠDavid Lominska. into the sport for the uninitiated, enhance the skills of young professionals and ultimately produce the best high-goal professional polo players in the world. The Committee will continue to work through plans to help execute these goals to establish a secure strategy for the future of the Association. 2018 Central Region Champions (Cipriano Echezarreta, Grayson Price, Vaughn Miller Jr., Will Walton with Coach Mason Wroe) hoisting the Cecil Smith Cup at the NYTS National Championship at Columbine Polo & Equestrian Center, LLC (Littleton, Colorado). Tournament Committee The Tournament Committee met in April of 2018 to carefully deliberate on the awarding of 2019 national tournaments. USPA national tournaments are the most prestigious tournaments in the United States, and in order for clubs to be considered as a host site, they must apply a year in advance. In 2018, many national tournaments were highly sought after by numerous clubs throughout the country. After hearing presentations from Member Clubs, the Tournament Committee made location recommendations to the Board of Governors to award 2019 national tournaments. Two of the most heavily discussed tournaments were the Silver CupÂŽ and the U.S. Open Arena Polo ChampionshipÂŽ. The Silver Cup is one of the oldest USPA tournaments and has a rich history within the Association, therefore the coveted title creates great value to any club. 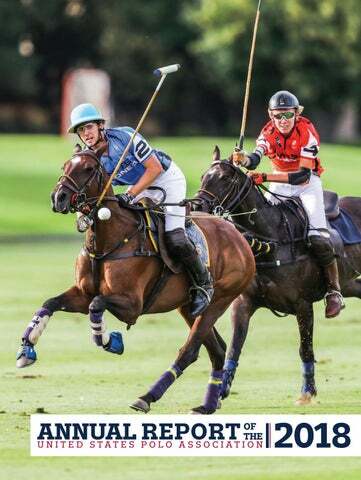 The tournament was hosted at Greenwich Polo Club (Greenwich, Connecticut) for three years which allowed new opportunities for rising high-goal teams. Greenwich Polo Club and Aspen Valley Polo Club (Carbondale, Colorado) each made presentations showcasing the unique opportunities they could offer. After a close vote, it was determined to award the tournament to Aspen Valley Polo Club for 2019. The National Twenty Goal® trophy on display in the Museum of Polo and Hall of Fame library located in Lake Worth, Florida. tournament success at a given location. The new system will gather data regarding number of teams, tournament format, and spectator base, among other criteria in order to determine the overall prosperity of the tournament. The Tournament Committee is looking forward to a great year in 2019. The Committee will continue to review the placement of national tournaments and find the best fit for each year in order to continue to preserve the legacy that has been built. Women’s Committee The Women’s Committee experienced an increase in the number of women’s tournaments held in the United States throughout the year, as well as an increase in the number of female members of the USPA. Association membership recorded its highest percentage of women to date with nearly 40% female members. games taking place at Port Mayaca Polo Club in Okeechobee, Florida. The Florida Circuit will host a number of women’s tournaments leading up to this event to provide an entire season of tournaments for women players. A new platform for female polo players launched in December. The Women’s International Polo Network (WIPN), supported by the Women’s Committee was created for female polo players around the world to create a profile, find teammates, view an international women’s polo calendar and more. Communications & Marketing The Communications Department focuses on highlighting and promoting USPA tournaments, livestreaming polo to the masses and executing digital media strategy through uspolo.org, social media, email and print platforms. During the course of 2018, uspolo.org was visited by approximately 970,000 from 230 countries and functioned as a center of information to members and polo enthusiasts with 426 articles created in the year. The Association continued to emphasize the importance of Member Clubs, players and horses, and the tireless workers behind the scenes, to those involved in the sport and potential fans and players around the world. Through digital and print media the Association produced club videos and educational commercials, spectator guides and club brochures, online club profiles, tournament coverage and special interest stories. The department’s strong relationship with players and clubs led to an emphasis on competitors, horses, and industry leaders via the livestream broadcast, social media, short films and online articles. These assets served to inspire and educate those interested in learning more about the lifestyle within the sport. Gloria D’Angelo is a high-goal groom smashing stereotypes. She is considered one of the key contributors to what makes the Valiente polo team and Adolfo Cambiaso leaders in the sport. Polo” each Tuesday that serves as the main form of communication and information sent to USPA members. Each email consists of eight or more articles ranging in topics from Committee and LLC news, tournament coverage, job postings and special interest features. Committees, clubs and members are encouraged to submit material for inclusion in the weekly email, and the popularity of the articles included each week was evident, as many articles were republished and shared in various media outlets. The email’s average open rate in 2018 was 39.5% and the click rates were 35.5%. USPA DOCUMENTARY The documentary “The Perfect Match” was finished and screened on Thursday, September 20, to an audience consisting of the USPA Board, members, staff and committees. The response was very positive and exciting for the future of the documentary. Marketing LLC and USPA Global Licensing are exploring different options for sale and distribution of the film and are looking forward to the release in 2019. United States. Branding is vital to the USPA as the Association works to grow and sustain the sport nationally and internationally. It is crucial to continue to push the boundaries and find new initiatives in order to reach untapped demographics. Many of the platforms and projects created in 2018 have never been implemented for the sport anywhere in the world. The USPA leads all polo associations in regard to livestreaming tournaments, tournament coverage, player branding, statistics, club marketing, photography, videography, website capabilities, interest articles, social media and graphic design. The department is excited to unveil new additions in 2019 and raise the bar even higher. Team USPA alumni Mason Wroe coaching the Central region during the National Youth Tournament Series Championship for the Cecil Smith Cup at Equestrian Center, LLC and Denver Polo Club (Littleton, Colorado). Polo Development LLC USPA Polo Development, LLC focuses on the sustainability of the sport of polo through programs which support clubs and polo instructors as well as developing the next generation of polo players ranging from youth grass and arena players to women and young Americans. Polo Development is broken down into three divisions: Club Development, Intercollegiate/Interscholastic (I/I) and Player Development. Denver Polo Club and Valiente/J5 Equestrian’s Columbine Polo and Equestrian Center, LLC in Littleton, Colorado over Labor Day Weekend. This world-class facility provided an outstanding venue for four zonequalified teams to compete for the Cecil Smith Cup. New in 2018 was a change to the East versus West Challenge which was launched in 2017. The 2018 edition featured two all-female teams in the renamed Girls All-Star Challenge Final which provided both fierce competition and additional opportunities to showcase the talent of young American players. Many of the Polo Development LLC programs are constantly evolving and changing to fit the needs of the USPA members and clubs. There is an old adage which states, “it takes a village to raise a child,” and this proverb holds true for polo. The Polo Development team works in harmony with the polo community and Umpires LLC, Services, Marketing LLC, and USPA Global Licensing to highlight the development of the sport at the grassroots level and promote foundational principles key to the sustainability of polo: horsemanship, sportsmanship and cooperation. Bayne Bossom representing the Western region during the National Youth Tournament Series Championship for the Cecil Smith Cup at Columbine Polo & Equestrian Center, LLC (Littleton, Colorado). Club Development The Club Development Department of USPA Polo Development, LLC is committed to USPA Member Clubs, and individuals, who are dedicated to growing polo at the grassroots level and beyond, by identifying and sharing “best practices,” sustainable solutions and networking opportunities. In 2018, the Polo Development Initiative (PDI) Program overseen by the PDI Subcommittee of the Club and Membership Development Committee, chaired by Denny Geiler, awarded over 100 awards totaling $660,000 in support. Highlights of the 2018 PDI award process were two regional associations in Central Texas and Chicago, bringing together polo clubs through cooperative efforts to grow and promote the sport of polo. In 2018, 59% of Registered Players were registered with the USPA through 2018 PDI clubs, and 61% of new USPA members (joined within the last three years) joined through 2018 PDI clubs. This reflected an increase of 8% and 11% from 2017 and 2016 comparisons, respectively. and an additional 21% of CPA participants are registered with non-Central Circuit USPA clubs) and the development of new players (73% of participants have joined the USPA since 2001; 28% joining between 2001-2010 and 45% between 2011-2018). CPA participants who have joined the USPA in the last three years make up 23% of the total number of participants. launch of the association and look to develop two key components of their program: youth polo and arena polo with the goal of forming a strong I/I presence in Chicago and developing a regional arena series similar to the Pacific Coast Arena League and the Texas Arena League; both of which have been successful at developing polo through regional efforts. 2018 USPA Aiken Middle School Tournament participant Maddie Godard pictured with Best Playing Pony Pata. provided the students meet the eligibility requirements. print and online which showcases each of the 40 USPA intercollegiate college programs. Equine Welfare remained at the forefront of the I/I program. All horses appearing in I/I sanctioned events must have proof of negative coggins, current health papers, as well as documentation of any host site health requirements (such as specific vaccines required), submitted to the USPA before the start of the tournament. Horses were also subject to a Pre-Tournament Horse Inspection that was performed by an on-site licensed veterinarian. The horses were checked for soundness and for an appropriate Body Condition Score. Coaches Education continued to be emphasized in 2018. The I/I program worked with Certified Polo Instructors (CPI) to create I/I Fast Track Clinics in order to provide a local opportunity for I/I coaches to begin the process of certification without the hassle of travel. During the summer of 2018, I/I hosted its first ever Collegiate Coaches Think Tank which brought in 2018 NIC coaches to a round table discussion specifically on the topic of horse usage at the National Intercollegiate Championships. The group elected to begin utilizing a six, five-minute chukker format at the 2019 NIC tournament in order to keep with the traditional split string format of I/I and also lessen the number of minutes each horse plays. Certified Polo Instructor Program In the second half of the year the Certified Polo Instructor program began a strategic planning process for the future of the program and its impact on the polo community. A need for a recertification process, continuing education opportunities, and continued development of instructional resources has emerged as the certification program has matured. The goals for 2019 are to create value in the program for instructors and continually improve the quality of instruction with respect to safety, skill development, and horsemanship. Player Development Player Development supports training and playing opportunities for developing players through Team USPA, the National Youth Tournament Series (NYTS) and the Young Player Opportunity Grant (YPO). The NYTS program showed continued growth across the country. The Central Region team won the NYTS National Championship Cecil Smith Cup for the first time in the program’s history. In response to 43% female participation at NYTS qualifier tournaments, the NYTS Subcommittee made the decision to add an all-girls division to the NYTS Championships. American youth players participated in international competition and mentored under legendary American players with the support of the YPO Grant. The Team USPA program piloted a training program in Argentina, with hopes of continuing to provide access to the highest levels of training. TEAM USPA The Team USPA program supports a dynamic group of young American players through mentorships, guidance from respected members of the polo community and highlevel training and playing opportunities. By providing mentorship opportunities with top American professionals, Team USPA members learn from the success of their predecessors. NEW MEMBERS One of the first introductions Team USPA players had to the coaching support available was at the tryout weekend clinic. In 2018, the program moved the tryout clinic to Aiken, South Carolina, to provide a more intimate environment for new members to get acquainted and interact with program leaders on a more personal level. The nine incoming players spent three days immersed in polo and training related activities on Langdon Road, home to Adam Snow’s New Haven Farm and Owen Rinehart’s Isinya Farm. Over the course of the weekend, players had the opportunity to play in two fast, open practices with a special “twohit” rule implemented to open up the game as well as participate in off-the-field training with polo fitness trainer, Alejandro Moraes. A tour of the Isinya breeding farm facilities, a lecture on veterinary care with Dr. Shelley Onderdonk and media training with the USPA communications team staff rounded out the tryouts weekend. Team USPA welcomed Molly Agee, Lucas Arellano, Lauren Biddle, Mia Bray, Tony Calle, Justin Daniels, Grant Ganzi, Jake Klentner and Sloan Stefanankis to the program. ARGENTINA TRAINING Jesse Bray, Geronimo Obregon, Remy du Celliee Muller and Julia Smith traveled south to the mecca of polo for a two-month training program created by Alfonso Pieres and Adam Snow at the Don Urbano farm in Pilar, Argentina. Team USPA partnered with Pieres to create an entry point for the four players to break into the Argentine scene while focusing heavily on improving their individual play. As part of the program, each of the four players played six to eight chukkers several times per week in both practices and tournament games against a myriad of professionals in the area. Being centrally located in Pilar allowed for a total immersion in the vibrant polo community and culture. TEAM USPA EXCELS AT THE HIGHEST LEVEL Jared Zenni made his mark qualifying for the Triple Crown of Polo in Argentina with La Cañada Daily Racing Form shortly after winning the U.S. Open Polo Championship® with Daily Racing Form. New Team USPA member Jake Klentner won the Pacific Coast Open (PCO) alongside fellow Team USPA members Remy du Celliee Muller and Jesse Bray. Additionally, 22 active Team USPA members regularly competed in tournament polo 12-goals and above throughout the year. Team USPA welcomed nine new members in 2018. Shown here at tryouts held in Aiken, South Carolina. NATIONAL YOUTH TOURNAMENT SERIES PROGRAM The National Youth Tournament Series (NYTS) program provides outdoor clubs with a framework for hosting a USPA-sanctioned tournament designed specifically for youth players. Playing with and against peers fosters a fun and competitive environment for junior players to grow and improve their skill set. All-Stars are selected by an appointed committee at each qualifier and are then eligible to be selected for one of the four open zone teams or two female All-Star teams to compete in the NYTS Championship tournaments. The NYTS program has continuously grown since its inception in 2013. In 2018, 197 All-Stars were selected from 40 qualifiers played across the country. Since NYTS is a selfmounted program, junior players and their parents are committing significant resources in order to participate. Approximately 35% of the participants competed in multiple NYTS qualifier tournaments. the foundation of the NYTS Championship weekend since its inception. Aside from time spent playing tournament matches and practice, the coaches organized team meetings, video reviews and practiced hitting penalties together. Florida’s Benji Daniels at full speed, Western’s Jake Klentner hustling to defend during the National Youth Tournament Series (NYTS) Championship Semifinals. YOUNG PLAYER OPPORTUNITY GRANT The Young Player Opportunity (YPO) Grant was established as a reimbursement program to provide funding support for youth players seeking a unique training or playing experience. The purpose of the program is to enhance the level of polo that is regularly available to the individual and encourage a thoughtful and creative plan toward helping a player improve their playing and horsemanship abilities. In its first year, YPO supported two players competing in the Youth Olympic Games in Buenos Aires, Argentina, as well as a mentorship with Owen Rinehart. Three players participating in training clinics outside of their local club were also awarded grants. minimum of four teams participating and must complete the tournament within 10 consecutive days. In 2018, over 110 tournaments have been professionally umpired through PUMP/8. Positive feedback from clubs grows each year and Umpires LLC looks forward to the program continuing to develop and grow. TRAGEDY ASSISTANCE PROGRAM FOR SURVIVORS The mission of Tragedy Assistance Program for Survivors (TAPS) is to provide ongoing emotional help, hope and healing to all who are grieving the death of a loved one in military service to America. Umpires LLC teams up each year with TAPS to bring a military family to a polo game. Hosted by the Santa Barbara Polo & Racquet Club in Carpinteria, California, and Umpires, LLC, a local military family was treated to a full day of polo in August of 2018. The honored TAPS guests had lunch with several polo players, watched the match, and then spent time with the officials after the game. hosted a boot camp at the Eldorado and Empire Polo Clubs in Indio, California, for certified umpires interesting in taking their officiating skills to the next level. Participants refereed alongside professional umpires or watched the games from the sidelines while listening to the radio communication. Classroom time was compulsory, with catchtapes of fouls, plays and rule reviews. the Umpire Reimbursement Program (UMP). The umpire’s salary, housing and transportation are all eligible for reimbursement. Each USPA circuit is allocated UMP funds based on the number of Member Clubs, registered players and affiliate members within their circuit; $78,000 was budgeted for reimbursement to the 13 circuits of the USPA for 2018. TECHNOLOGY Each year, Umpires LLC remains on the cutting edge by using technology to improve officiating on and off the field. Continued training and education for professional umpires is aided with drone footage, GoPros, and the use of Dartfish, a video business that provides breakdown of calls, non-calls and plays. At all games, officials are able to communicate with each other via radios. Teams playing high-goal polo may request the use of Instant Replay. An additional umpire is designated as the Instant Replay Official (IRO), who makes the final call on a play that has gone back to the replay booth. NATIONAL ASSOCIATION OF SPORTS OFFICIALS All professional umpires are members of the National Association of Sports Officials (NASO). The NASO’s primary focus is to dispel unfair and malicious portrayals of referees and umpires. This is accomplished by shining a light on the strong character and positive accomplishments of the men and women who officiate sports. This organization represents officiating at all levels and from all sports. Each year Umpires LLC staff attend NASO’s annual summit, and in 2018 Umpires LLC was asked to present a polo video to NASO’s “You Make the Call” segment. the global brand ambassador roster. Recognized as one of the top up-and-coming polo players in the sport and the defending champion of the 2018 U.S. Open Polo Championship, Zenni will be instrumental in promoting the sport and U.S. Polo Assn. around the world. All three global brand ambassadors along with lifestyle and fashion influencers will continue to serve as integral parts of the brand’s global marketing and advertising efforts. TELEVISION SHOW & DOCUMENTARY As broadcasting and media become a stronger focus, U.S. Polo Assn. partnered with the Palm Beach County Tourist Development Council to create a 30-minute television show, “The Polo Life – The Palm Beaches,” immersing viewers in the sport, fashion, lifestyle and philanthropic aspects of polo. The show aired in September across several media platforms and in hotels and resorts across Palm Beach County reaching more than 60 million households. USPA Global Licensing Inc. also collaborated with the USPA to finalize the USPA documentary, a 90-minute film that takes viewers behind the scenes and provides the history of the sport in the United States, and highlights the birth of U.S. Polo Assn. hot air balloons, bright colors and sunny weather. GLOBAL SUMMIT This May, U.S. Polo Assn. invited a roster of global licensees to an official global summit titled “Whitespace 2025 – Roadmap to $2 billion,” held in the Palm Beaches. It was an extremely successful event with representation from major global licensees around the world. The brand had many industryleading professionals speak on topics that ranged from “What Great Brands Do,” to “Social Influencers,” “Dynamics of Amazon” and “Maximizing Digital Platforms.” The two-day summit enabled USPAGL to share the strategic direction behind the brand’s roadmap to $2 billion in sales, which laid the groundwork for the future growth of the business. In addition to the meetings, the licensees had the opportunity to tour Santa Rita Polo Farm where they engaged with polo players and horses, and later enjoyed a reception at IPC. NANTUCKET WHALER USPAGL continues to make great progress with Nantucket Whaler, which is a unique American story dating back to 1837 and steeped in the heritage of Nantucket island. The brand will offer both apparel and accessories that are welldesigned, high quality and infused with durability, comfort and a hint of the nautical spirit that captures both function and fashion. For Summer 2019, Nantucket Whaler will launch a new digital site and retail store on Nantucket island while looking at opportunities to expand globally with new partners. Nantucket Whaler is also a purpose driven brand that is focused on giving back with an intense respect for our seas and the creatures in them. Nantucket Whaler is a proud sponsor and supporter of the international charity “Whale and Dolphin Conservation (WDC),” which is dedicated to the conservation of whales, dolphins and our seas. THE FUTURE USPAGL is extremely excited about the future of U.S. Polo Assn. and our sport. The brand has several amazing initiatives in the coming year including the launch of a new U.S. Polo Assn. “high-goal” energy store concept that will open in several countries globally. This new concept will showcase amazing products while engaging consumers in the sport of polo in a new and more meaningful way. In 2019, U.S. Polo Assn. will also activate the “Women’s Initiative,” which will be a marketing campaign featuring the impact women around the world have had on the sport and the brand. Those exciting measures, along with the debut of the new tournament series the GAUNTLET OF POLO will continue the brand’s push toward a more digitally and technology focused brand. Simply put, the future of U.S. Polo Assn. has never been brighter! The Association has been organized and exists for the purposes of promoting the game of polo with an overarching goal of improving the sport, coordinating the activities of its Member Clubs and Registered Players (as defined below), arranging, allocating, and supervising polo tournaments, competitions, and games and providing rules, handicaps, and conditions for those tournaments, competitions, and games, including the safety and welfare of participants and mounts. Jenna Tarshis prepares to take the field for the inaugural Girls All-Star Challenge. USPA Services ARENA COMMITTEE Mission Statement: The Arena Committee is the successor of the Indoor Polo Association. Its mission is to manage arena polo within the USPA as well as organize, promote and develop arena polo with member clubs and players. The committee seeks to differentiate arena polo as an exciting, competitive and alternative version of the sport polo, as well as an invaluable teaching polo format. The committee’s initiatives and responsibilities include arena rules, arena handicaps, high-goal arena polo, arena tournaments, international arena polo, I/I and women’s arena polo. Florida Region’s Conrad Kissling receiving encouraging advice from Team USPA member Jared Zenni during the National Youth Tournament Series Championship. 2018 USPA Board of Governors and Annual Member Meeting in Oak Brook, Illinois. FINANCE COMMITTEE Mission Statement: The mission of the Finance Committee is to provide the USPA Chairman and Board of Governors direction for the fiscal responsibility of the USPA. This is achieved by a regular review of the organization’s financial statements along with the approval of the annual budget with submission to the full Board of Governors for approval, ensuring all are consistent with the strategic objectives and mission of the USPA. The Finance Committee also seeks to prudently manage organizational investments consistent with the duties outlined by the USPA’s Investor Policy and Guidelines. HIGH-GOAL COMMITTEE Mission Statement: To advise the Chairman and BOG and committee chairs on all aspects of high goal polo in the US. To be the communication channel between the USPA and High Goal community including club managers, High Goal sponsors, and High Goal Professionals. To grow and promote the sport of polo at its highest level around the US. Olympic Committee and all other interested qualified groups or individuals in achieving its goals. NOMINATING COMMITTEE Mission Statement: The Nominating Committee shall consist of seven Registered Players, five of who shall be members of the Board of Governors and four of who shall be Circuit Governors. This committee will meet annually to consider and nominate a slate of Officers. This slate of Officers is to be conveyed to the Secretary of the Association at least two weeks in advance of the Board of Governors meeting prior to the Annual Meeting. RULES/RULES INTERPRETATION COMMI TTEE Mission Statement: The mission of the Rules Committee is to advise the USPA Chairman and Board of Governors about all aspects of the USPA Rules and Rules Interpretations. USPA MARKETING, LLC Mission Statement: The USPA Marketing, LLC will provide and coordinate marketing and public relations services to the USPA; it will evaluate, and when appropriate, will develop and capitalize on income derived from USPA sport and brand sponsorships; and, it will market and promote the sport and brand of the United States Polo Association through any and all means possible, to include television and internet broadcasting opportunities. membership, improve the quality of the polo experience by its membership and to retain clubs and membership. This will be done by creating programs such as Polo Development Initiative and other strategic club and membership programs. Once developed these programs and strategies are disseminated to the membership through our network of clubs. and playing opportunities leading to a pool of higher rated amateur and pro players and the resultant giveback to the sport of polo. Dear Members, Players and Delegates, It has been an honor to serve as the Association’s Chief Executive Officer in 2018. Together with devoted members, clubs, players, volunteers and our professional staff, we have achieved many goals, and continually strive to improve the sport through elevating safety conditions and fair competition for the players and the horses, while also improving the fan experience. I am proud to be a part of this great organization and its ongoing accomplishments. I would like to reflect on some highlights from the past year. Together with our partners at USPA Global Licensing we have redefined the way we market and promote the sport of polo and U.S. Polo Assn. We are reaching new heights while increasing consistency and value for our audiences in social media, livestreaming and domestic and global broadcasting of USPA polo events. Young Americans represented their country well in 2018 in events ranging from the Junior Westchester Cup victory in England to the Buenos Aires Youth Olympic Games. Last fall, the USPA sent six talented young American members to train and play for two months in Argentina. This program was aimed at expanding their experience as young professionals in the sport and preparing them for bigger opportunities. The program was so successful that we are planning to create similar opportunities this year. We made significant changes to the organization’s structure by amending the Constitution, By-Laws, policies and our subsidiaries operating agreements to provide better clarity and efficiency to the Association’s operations. I’m proud to say that through many challenges and changes, we are seeing more interest in polo at every level and we hope you are too. Our decision to change the goal level of C.V. Whitney, USPA Gold Cup® and the U.S. Open Polo Championship® established the platform to introduce the Gauntlet of Polo™ which has now attracted 16 teams who will vie for an unprecedented $1,000,000 in prize money. Out of the 64 players in the competition, 29 are American, an incredible success for the sport in the U.S. We also introduced a new prize money matching program for USPA tournaments that are 12 goals and below to further assist our clubs to stimulate participation in outdoor, arena, women’s and junior tournaments throughout the United States. 18 CLU BS Midstates Rocky Mtn. NOTE: THESE NUMBERS ARE PROJECTIONS FOR THE 2018 YEAR.